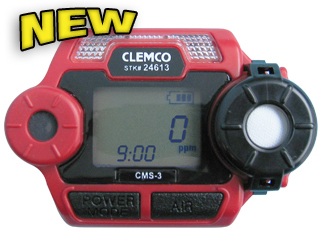 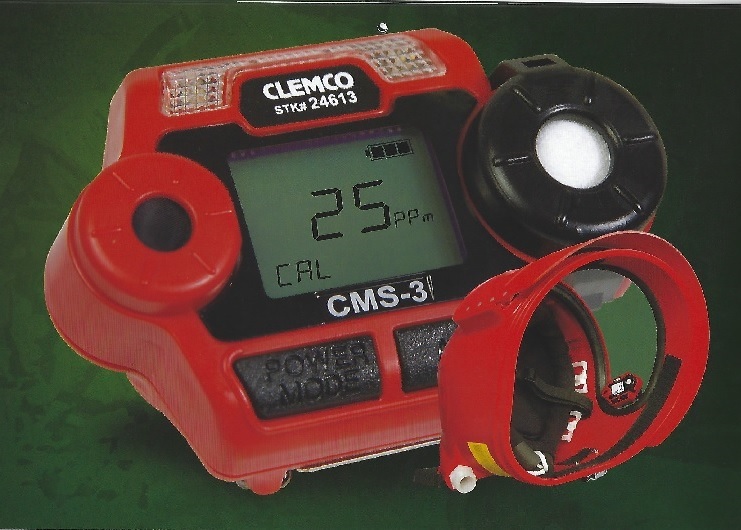 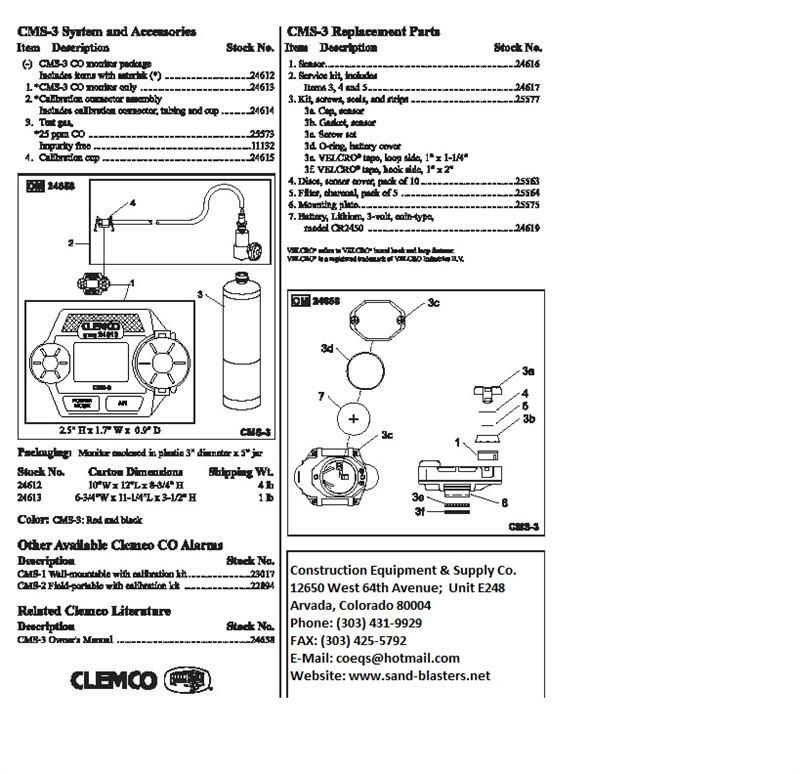 The Clemco CMS-3 Monitor Detects Carbon Monoxide In The Breathing-Air Supply And Triggers Audible, Visual, And Vibratory Alarms When CO Is Detected In Concentrations Of At Least 10 Parts Per Million. 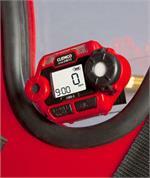 The alarms alert the operator to an unsafe condition. 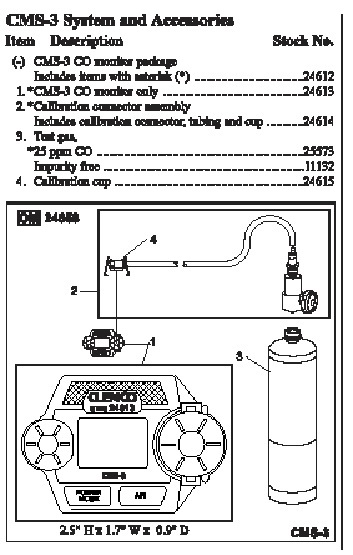 CMS-3 CO Monitor Package Complete Package (CMS-3/24612) Includes Monitor, Calibration Connector Assemly With Tubing & Cup, And 25 PPM CO Test Gas. 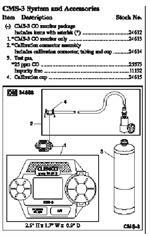 Please Note That UPS Shipment Of CMS-3 Monitor With Gas Containers Are Considered Hazardous Material And Will Have An Additional Charge Not Shown At Checkout.